In 1990, I was in a graduate student at the University of Virginia, taking an ethics seminar taught by Cora Diamond. We were considering various angles of critique of utilitarianism when Professor Diamond passed out photocopies of a poem by Zbigniew Herbert: "The Envoy of Mr. Cogito." Certainly there are times in life when working for a desired outcome is well and good. But the utilitarian claim that calculating likelihood of good outcomes is the whole of the ethical life, I cannot buy -- and "The Envoy of Mr. Cogito" distills a large part of the reason why. I took that photocopy of Herbert's poem home and pasted it on the side of my metal filing cabinet. Ten years and several moves later, the poem, still affixed to that filing cabinet, was spotted by a then-new acquaintance of mine, LoraKim Joyner. We read it together and found ourselves crying. If I wasn't already in love with that woman, I was then. 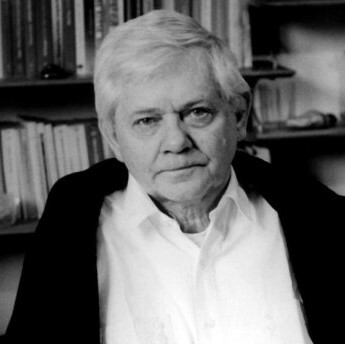 Polish poet Zbigniew Herbert was born in 1924. He was a month shy of his 15th birthday when the Nazi tanks rolled into Poland in 1939 September, beginning a six-year period of occupation of his homeland. The young Herbert continued his studies in secret classes organized by the Polish Underground and in time became a member of the Polish resistance movement. In 1974, Herbert published Mr. Cogito, a collection of 40 poems. The titles of the book's poems almost all reference Herbert's everyman, Mr. Cogito. The book's last poem is "The Envoy of Mr. Cogito." ("Przesłanie Pana Cogito," also sometimes translated as "The Message of Mr Cogito.") Whether the titular envoy is bringing a message to or from Mr. Cogito is not clear. But the message reminds us that life is not a utilitarian calculation. As I read the poem, I imagine what it must have been like to have been in the Polish resistance. It would demand courage that could not have relied on hope, for realistically the resistance had no hope. In that world, at that time, it was evident that evil had won and would continue. Had members of the resistance acknowledged any moral relevance to utilitarian calculation, they could not have given their hearts and their lives as they did to the task by which they chose to be defined -- for all reasonable evidence pointed to the futility of that task. A different moral understanding was necessary. Resistance, under such circumstances, is not about winning, not about accomplishing results. It's about the requirements of decency; about what, in that situation, a decent life, however brief, would be. Put out of your mind the idea that you might be doing any good, Herbert tells us. To join the resistance is to commit each day to activities that could easily make any hour your last, and to abandon hope that any good could come of this. You join, if you do, because you are called to be a resistor rather than a collaborator. You do it to be who you are -- until they catch and kill you, as they surely will. It’s about being a worthy person, not about getting anything done. It's about the life that leads to death, but also about the death that opens a possibility for genuine and fearless life. "The Envoy of Mr. Cogito"
This is part 1 of 3 of "Attain the Good You Will Not Attain"
Rev. 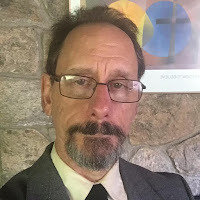 LoraKim Joyner, "Conservation: Attaining the Good You Will Not Attain"